CIT Arts Office - CCAD alumna Joy Gerrard currently exhibiting in Highland Gallery & FE McWilliam Gallery. 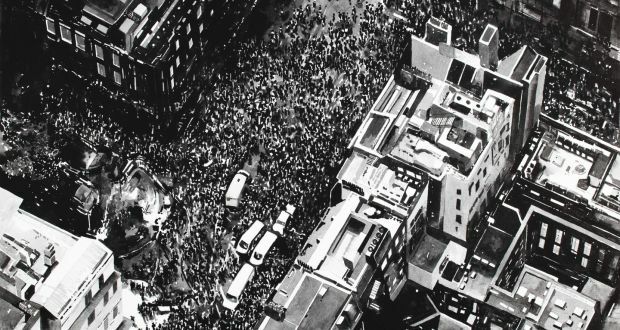 Exhibits her work Protest Crowd, London currently in an exhibition titled Crossing Lines. Currently been exhibited at the Highlanes Gallery, Laurence Street, Drogheda, Co Louth, and FE McWilliam Gallery and Studio, 200 Newry Road, Banbridge, Co Down. in a interview style article written by Aidan Dunne.